Laura Benson is about to marry Cole (Smoke) Hamilton and you are cordially invited to attend the wedding in Summer Lake, California. Yes, they wanted to travel a little further afield for their nuptuals, but sometimes life intervenes. These two lead such busy lives. 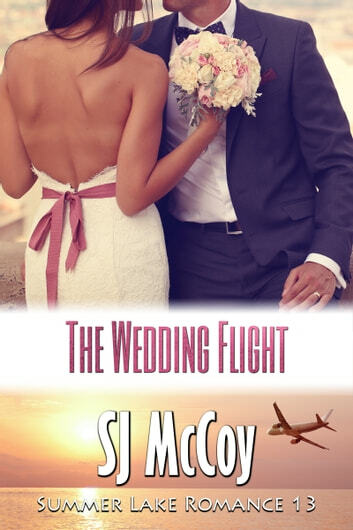 They're tired of putting off their wedding until they can find the perfect time. They've finally decided to tie the knot, no matter what. You'll have to accept the invitation and join them and the rest of the gang at the lake if you want to find out what life has in store for them on the final leg of their journey toward wedded bliss. The Wedding Flight is NOT intended to be read as a stand alone novel. This book is for my lovely readers who have enjoyed Summer Lake books 1-12. It's a chance to join Smoke and Laura for their wedding, and to visit with the couples from the earlier books in the series and get to know some new friends, too. Most of the Summer Lake books can be read as stand alone books – no cliff hangers here! Each book contains one couple's story. However, they are best read in order to get full enjoyment of the underlying story and friendships.